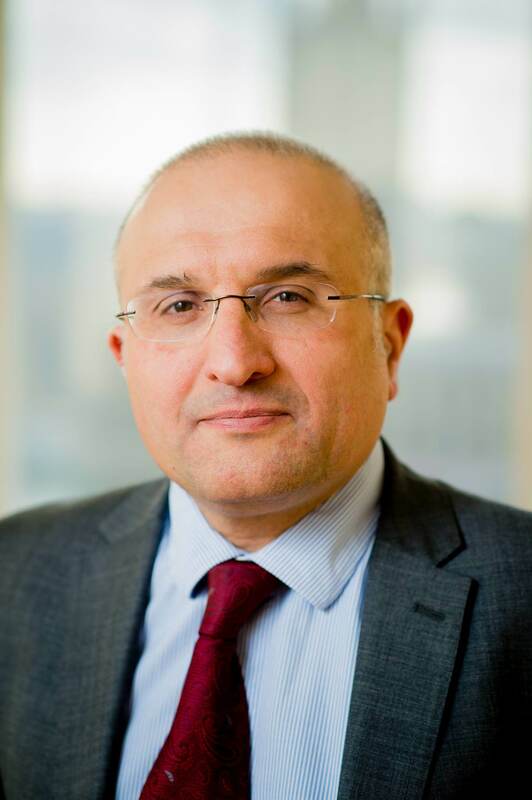 Mr Azar Khunda joined Guy’s and St Thomas’ as consultant obstetrician and gynaecologist in 2014 and has a clinical background and training in urogynaecology. Azar achieved a specialist Certificate of Completion Training (CCT) in obstetrics and gynaecology in 2010. He also completed the requirement for the urogynaecology ATSM, benign vaginal surgery ATSM and advanced labour ward practice. In 2013, he completed the requirement for the subspecialty training programme in urogynaecology at University College London Hospital. This gave him experience in advanced laparoscopic surgery and its application in urogyanecology. Whilst at St George’s Hospital, Azar also successfully and safely introduced laparoscopic urogynaecology to the hospital. He completed a one-year fellowship in urogynaecology at St George’s and consolidated his diagnostic and surgical skills at tertiary level. Surgical outcomes and pelvic floor imaging.